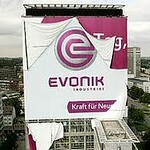 GERMAN firm Evonik is increasing production capacity for 1-butene to 75,000 tonnes in Germany and also constructing a 120,000 tonne-MMA plant in the US. Both are scheduled to come on stream in 2015. Evonik plans to increase production capacity for 1-butene to bring it to a total capacity of 310,000 tonnes, making it the world's top producer of 1-butene. Worldwide demand for 1-butene is increasing by about 5% each year. In the production of polyethylene, 1-butene is used mainly as a co-monomer giving it improved tear strength for packaging films. Evonik is also constructing the first MMA production plant using the AVENEER process in the Mobile plant, Alabama, US. Methacrylate monomers and their derivatives are the starting materials for lightweight construction in the automotive industry. The AVENEER process developed by Evonik is distinguished by an improved carbon footprint with emissions lower than 1,000 kg CO2 per tonne of MMA, or a little over half of the current value.